John Baldwin leaves his apartment in Paris and makes a short trip to the 13th century. Baldwin, Hopkins' Charles Homer Haskins Professor Emeritus of History, is working in Parisian libraries, poring over documents to complete his research for Paris 1200, a forthcoming book of popular history. Were he so inclined, he could adorn the lapel of his jacket with a discreet red ribbon that signifies a rare distinction: Baldwin was the recent recipient of the Legion of Honor. The French bestowed their highest civilian award on Baldwin (PhD '56) for 50 years of scholarship on medieval France. This marked the second time he has been honored by the French, and therein lies a story. "When he finally got around to it, 18 months later [in 2001], he called, and while we were discussing how to do this he said, 'I think you'd better sit down, because we've just learned that you've been awarded the Legion of Honor.' I said, 'You're kidding. The Legion of Honor?' And he said, 'Yes, the Legion of Honor.' It was a great surprise to me. 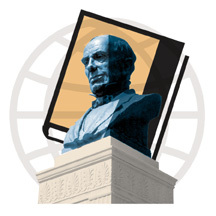 It's not the sort of thing they give to foreigners, professors, and most of all medievalists." (When the French have conferred the award on Americans, it usually has been on celebrities like chef Julia Child, or Gen. Norman Schwarzkopf.) Baldwin's remise was further delayed by the attacks of September 11, but he received his awards last October. 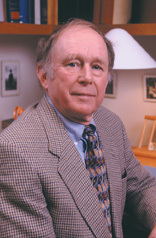 Baldwin commenced his study of 12th- and 13th-century France while at Hopkins earning his PhD in the 1950s. He spent two decades collaborating with a team of French scholars to first publish the private governmental records of King Philip Augustus. This led to The Government of Philip Augustus: Foundations of French Royal Power in the Middle Ages (University of California Press, 1991), which made the best-seller list in France. His most recent volume is Aristocratic Life in Medieval France: The Romances of Jean Renart and Gerbert de Montreuil, 1190-1230 (Johns Hopkins Press, 2000). He describes his research for Paris 1200 as "filling in the pieces that I don't know too much about. It's an important period and I don't think it's received enough attention. In history, you're always looking for turning points. I think 1200 was one of the bigger of the turning points." Hopkins football coach Jim Margraff took a few days to return calls recently because he was on the road recruiting. That task should be easier this spring: Margraff is coming off the best season in Hopkins football history. The Jays capped a championship year by winning their first-ever post-season game, defeating Frostburg State for the Eastern Collegiate Athletic Conference southwest championship. Hopkins hung on for a thrilling 24-21 victory, after Frostburg gamely fought back from a 24-7 deficit. Quarterback George Merrell, a junior, was named most outstanding player in the championship game. Photo by Rob Brown One week earlier, Hopkins had secured its first Centennial Conference co-championship by thrashing nationally ranked McDaniel College, 27-7. The Jays finished the year 9-2, a school record for wins in a season. The championship game was played on a frigid, windswept field in Cumberland, Maryland. But the weather didn't seem to bother junior quarterback George Merrell, who threw for two touchdowns, ran for another, and was named player of the game. Freshman running back T. J. Lyons rushed for 112 yards. "We got great leadership out of our upperclassmen," says Margraff. "We started three different quarterbacks, three different tailbacks, and seven freshmen throughout the season, so we overcame some obstacles. We've been good in the past, but we did the little things this year that won the close games." Hopkins began the season with a five-game winning streak before suffering losses to Muhlenberg and Randolph Macon. The defeat by Muhlenberg cost the Jays a trip to the NCAA Division III championship tourney. Hopkins had tied the team for the Centennial Conference crown, but Muhlenberg got the bid because the team had played a slightly tougher schedule. Matt Hart stands on Belair Road near Erdman Avenue in Baltimore, hands in pockets, surveying the storefronts with a wrinkle of concentration on his youthful face. The sagging vinyl fronts and cheap signs form a pastiche familiar to anyone who's ever driven an aging urban commercial strip, but Hart sees more than that -- he sees possibilities. "I've spent a lot of time staring at this street," he says with affection. Hart, a junior, decided he needed a break from electrical engineering courses at Hopkins, and that's how he ended up here, working at Baltimore Main Streets in the Belair-Edison neighborhood for three months. The internship was part of an Institute for Policy Studies undergraduate course, "Introduction to Urban Policy," which provided 18 students entrée into some of the city's frontline government and non-profit agencies. Photo by Chris Hartlove Baltimore Main Streets, which works to encourage the revitalization of commercial districts, has field offices in several city neighborhoods, and the staff in the Belair-Edison office put Hart right to work. He was charged with updating an existing urban renewal ordinance to establish criteria for land use and design, including facades, signs, lighting, maintenance -- the elements that visually define a commercial area. Standing on the strip, Hart points out the good -- the Main Streets field office, in a neat-as-a-pin rowhouse with brass touches and a tasteful wooden sign -- and the bad, a liquor store papered with advertisements. "See that merchant with his dumpster out front? It's illegal by ordinance, and it just looks bad," he adds. Hart's time at the agency made him feel an attachment to the area. "What I've written and suggested they're probably going to implement," he says, serious but elated at the thought. "It's exciting and fun to see the local implementation, to get government away from the big guys." But Hart, who leans toward a libertarian view of things, also learned that a policy studies course wasn't an invitation to debate political viewpoints. Sandra Newman, director of the Institute for Policy Studies, runs a tight ship in class, he says. "She's concerned with keeping opinion out of the discussion. She's a researcher, and we talk about the need to back our views up with data." At a class in mid-November, Newman and co-teacher Marsha Schachtel drive home this point, gently but firmly insisting that the students' presentations about their internships also address the question: What did this teach you about policy-making? As the students make their reports, some look a little shell-shocked; others seem almost grimly determined. They have witnessed firsthand the admirable toil and struggle involved in helping a city to survive, and they have also seen the warts and petty politics that can attend such a goal. Schachtel, former aide to Maryland Gov. William Donald Schaefer and Baltimore Mayor Kurt Schmoke, and Newman, whose research often draws on the fertile ground of Baltimore urban policy, use their connections to round up internships at a who's who of government agencies and non-profits: the mayor's pet CitiStat project, the city finance department, the Center for Poverty Solutions. While the instructors insist that none of the students be put to work "stuffing envelopes," the presentations make clear that many of the jobs involve roll-up-your-sleeves work. Connie Everett, a junior majoring in public health, says her job at the Community Law Center included many hours of data entry, but she proudly describes the results of that tedium: concrete data to show that flipping -- buying and then quickly reselling a house at an inflated price -- is happening just under the radar of government regulation, contributing to instability in marginal neighborhoods. Angela Boyd, a senior political science major, cheerfully describes the mayhem of hanging out in a newly chartered middle school, and how her internship, to research funding sources for enhancing school curriculum, also included teaching an extracurricular Spanish class. "You know the kids are interested if they give up recess," she laughs. But her upbeat description of ConneXions Community Leadership Academy turns serious as she talks about how the staff's dedication and the small class size are offset by the lack of money for art, for music, for language -- things she took for granted in her own public middle school. "They have new French and Latin books and no one to teach those subjects." From the downbeat, it was as if all the craziness involved in coordinating the project was manifested in its performance. Crowded by player pianos, bass drums, and xylophones, Peabody percussion student Julian V. Pellicano was about to make his conducting debut before more than 5,600 drummers and percussionists at the opening session of the Percussive Arts Society's International Convention (PASIC) in Columbus, Ohio. The piece was "Ballet Mécanique." George Antheil's original 1924 score "Ballet pour instruments mécaniques et percussion" called for 16 player pianos, a melange of percussion instruments, and two human pianists, supplemented by a siren, airplane propellers, and electric bells. Antheil had described his work as "the first piece of music that has been composed out of and for machines, on earth." He intended the score to be the live soundtrack to an avant-garde film of the same name by Fernand Léger and Man Ray. Julian Pellicano, top, conducted a live performance of "Ballet Mécanique" with, from left, Peabody percussionists Kevin Dufford on xylophone, Eric Beach on tam-tam, and Jon Greeney on xylophone. Photo by Bryan Stone Pellicano, a senior majoring in percussion performance at Peabody and philosophy at Homewood, wanted to give a live performance of the score synchronized with the film, a feat no one had ever done before, let alone a student making his conducting debut. Intrigued by seeing Peabody percussion head Jonathan Haas conduct a 1953 version of the score, and armed with the assurances of Peabody conducting teacher Harlan Parker, Pellicano launched his project with infectious enthusiasm. "He was motivated, resourceful, and positive," Haas recalls. "Not once did I ever hear a single complaint. Not once did I ever hear, 'We can't do this,' or 'Why did we do this.' Because there were many problems." Performing "Ballet Mécanique" was not a simple matter of practice, drive to Ohio, and play. First, Pellicano had to find pianos. The original score was not performed until 1999, partly because no one knew how to synchronize 16 player pianos. The creation of MIDI (musical instrument digital interface), the standard in musical computer languages, and MIDI-compatible player pianos, such as the Yamaha Disklavier, solved this problem. Pellicano got in touch with Michael Bates, academic relations director at Yamaha, who persuaded an Ohio piano dealer to provide 10 Disklaviers. Then, Pellicano had to synchronize his conducting with the film and pianos. Antheil had worked separately from Léger and Man Ray; when the three tried to combine film and score in 1924, the music was nearly twice as long, and the film alone premiered in Vienna. For help with the live performance, Pellicano called Tufts University faculty member Paul D. Lehrman, an Antheil and MIDI expert who had managed the score's 1999 premiere by running the player pianos from his Macintosh computer. Lehrman asked Pellicano to set a tempo. Too slow and the intensity of the music would be compromised; too fast and the musicians would not be able to handle it. Pellicano had ensemble members Jon Greeney and Kevin Dufford play the xylophone parts as fast as they could, and he settled on 110 beats per minute. Anthology Film Archives Working with that tempo, Lehrman made 31 cuts to the score and for rehearsal purposes sent Pellicano a custom-made CD split into two channels. One channel contained the piano player parts, as well as digital samples of the siren, bells, and propellers. The other channel had a "click track," which would help the conductor keep his place and stay synched to the film and pianos. Pellicano had picked a doozy for his debut. In its 1,240 measures, "Ballet Mécanique" switches time signatures 600 times. And the time signatures are not straightforward 4/4s or 3/4s, but zany ones like 64/8, 15/16, and 17/32. Lehrman was skeptical. "I wasn't worried about the technical aspect of playing the piece with the film," he says. "It's just that this version had never been conducted by a student." Pellicano says, "I was a little apprehensive because this was my first conducting experience. The difficulty is not getting lost [in the score], but being perfect in the hand." Lehrman flew in from Boston for the performance at PASIC, bringing an Apple iBook that had MIDI tracks for the pianos, samples of the siren, bells, and propellers, and the click track wired to Pellicano's left ear. The 10 Disklaviers were arranged onstage; eight would be controlled by computer (standing in for the 16 called for by the score), the other two played by Peabody pianists Michael Sheppard and Chryssie Nanou. Stage right, beside a battery of bass drums, was the film screen. Lehrman sat offstage with his iBook, hoping it, too, would perform without a hitch. He pressed a button. A tam-tam crashed, leading to brutal, carnally rhythmic chords with lunatic xylophones. The film cut to a woman, swinging and coyly avoiding the camera. Alarming electric bells erupted; on the screen, a roulette wheel spun hypnotically. The siren wailed over rippling player pianos, causing people in the audience near the speakers to plug their ears. The words SOMEBODY STOLE, in French, flashed on the screen. Then, A PEARL NECKLACE. WORTH 5 MILLION. 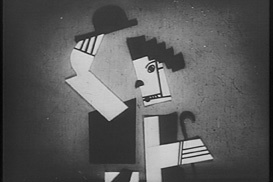 A Cubist Charlie Chaplin twisted in an animated dance; blocks of soldiers marched, ominously. A woman carrying a load on her shoulder walked up steps as she had yesterday, and would tomorrow, and the day after. Soundtrack and film ended together. Pellicano had pulled it off. Afterward, PASIC audience members lauded Pellicano and the musicians for their efforts. Said Lehrman, "It was everything I expected. They did not disappoint." About 18 months ago, Eric Peng was looking at a color map of a galaxy named Centaurus A. Peng, a PhD candidate in Hopkins' Department of Physics and Astronomy, had recently created the map using new digital images from the Cerro Tololo Inter-American Observatory in Chile, and he noticed an arc in the outer reaches of the galaxy that was strikingly blue. Blue is the color of hot young stars, and elliptical galaxies like Centaurus A typically have older, redder stars. Were the blue stars part of the older galaxy, or stars from our own Milky Way galaxy in the foreground of the images? "I had a catalog of possible star clusters in the Centaurus A region," Peng says. "When I plotted the blue ones, they were all strung right along the arc. That's when I thought we might have something here." He did have something: evidence that 200 million to 400 million years ago, Centaurus A had pulled in and torn apart a smaller satellite galaxy. The new finding, published in the December 2002 Astronomical Journal, is important because astronomers have been trying to explain the formation of halos -- the outer areas of galaxies, composed mostly of dark matter and a sparse array of outlying stars. Peng says accumulating evidence has suggested that halos are the dispersed remnants of absorbed satellite galaxies. He and his co-authors on the new paper -- Holland C. Ford of Hopkins, Ken Freeman of the Australian National University, and Rick White of the Space Telescope Science Institute -- believe that Centaurus A's blue arc is important new evidence of this phenomenon. Young stars in a blue arc appear to be the remains of a smaller galaxy torn apart by the Centaurus A galaxy more than 200 million years ago. Photo courtesy JHU/NOAO/AURA/NSF In August 2001, the astronomers made a series of images of Centaurus A using a new wide-field digital camera called Mosaic II. The galaxy has been under scrutiny for a while because it's only 10 million light-years away, which makes it the elliptical galaxy closest to Earth. Using Mosaic II, says Peng, "we took exposures through five different color filters. The idea was to get a rough spectral shape of the light we were looking at, to see how blue or red these objects were. Previous studies had been done on photographic plates, which are a lot coarser in terms of measuring the amount of light because the plates saturate very quickly. With digital detectors we could much more easily compare each part of the sky, in terms of the color the stars are." When Peng plotted the star clusters and realized that all those blue stars were not from our own Milky Way galaxy but part of Centaurus A, the astronomers wanted to know how all these hot blue youngsters came to be part of an older, reddish galaxy. The distribution along an arc was suggestive. Says Peng, "It was easy to imagine that this was a trail of stars that had been spread out along some sort of orbit." What might have been orbiting Centaurus A? The most common galaxies are small satellites of larger galaxies. And the accretion of one galaxy by another is also common. 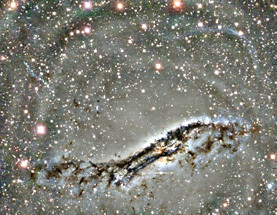 The most distinctive visual feature of Centaurus A, visible in any photograph of the galaxy, is an S-shaped band of dark gas strewn across its glowing center. Astronomers believe this to be the remnant of a large spiral galaxy long ago subsumed by Centaurus A. But perhaps in its turbulent past Centaurus A had sucked in more than one galaxy. Perhaps it also had grabbed and torn apart a small irregular satellite. "One thing that came to mind was that a young galaxy with a lot of gas had fallen into Centaurus A," Peng says. "As it fell in, gravitational forces triggered a burst of star formation. After the stars formed, they stretched out along the orbit that the satellite galaxy had been on." What do proteins and airport security have in common? More than you'd think. If Hopkins School of Medicine Professor Robert Cotter's predictions -- which he describes as "optimistic" -- prove correct, within two to three years portable, miniature mass spectrometer devices that can identify lethal bioagents will be commercially available to help airport screeners combat terrorism. Cotter's project to create small but effective mass spectrometers is in its fifth year, with funding from the Defense Advanced Research Projects Agency. The goal, notes Cotter, is to reach the point where "we could put in different biology agents -- bacteria or viruses or spores -- and ultimately identify which bioagent it was." When a bacteria, virus, or spore is analyzed by a mass spectrometer, a laser beam first breaks up the bioagent into proteins or smaller peptides. (The process of using lasers -- something called "laser desorption" -- in mass spectrometry garnered its developers this year's Nobel Prize in Chemistry.) These proteins or peptides are then sent through a tube in the mass spectrometer. The mass of each of the protein's molecular components can be measured according to how long it takes the molecules to travel down the tube. The spectrometer thus determines the identity of the protein using its "mass spectrum." Once the mass spectrum of an unknown protein is obtained, it can, in theory, be matched with spectra of known proteins and identified. 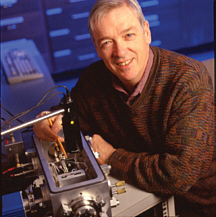 Cotter points to the miniature mass spectrometer. Photo by Tamara Hoffer There are several obstacles to overcome before it will be possible to actually identify bioagents using mass spectrometry, says Cotter. One problem is that a bioagent bacteria might well be mixed with something else, like E. coli. The combination would yield a spectrum of the composite of the particular combination of E. coli and the unknown bioagent. So the challenge, Cotter says, is to identify reliable bioagent markers -- characteristics that are constant no matter what other materials the agent is mixed with. Another challenge is to continue building the data banks of genomic information to use as cross references for unknown bioagents. "We don't have genomes for everything," says Cotter. "But it's a building process -- they're doing organisms very, very rapidly." Finally, there is the hardware itself. Commercial mass spectrometers are roughly the size of refrigerators and thus not ideal for applications like airport screening. Cotter's lab has developed its own homegrown 3-inch mass spectrometer, but Cotter says that mass production won't occur until there is a recognized market. 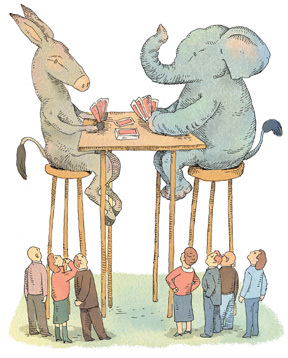 When Hopkins political science professors Matthew A. Crenson and Benjamin Ginsberg took a hard look at contemporary American politics, they found a government operated by and for elites who prefer a passive, uninvolved citizenry. Last year they published their assessment in a provocative book, Downsizing Democracy: How America Sidelined Its Citizens and Privatized Its Public (Johns Hopkins 2002). Shortly after the midterm elections, they sat down for a chat with senior writer Dale Keiger. You say in the book, "The era of the modern citizen, which began with a bang, is quietly slipping away." Matthew Crenson: That era is coming to an end because states have evolved so that they no longer need citizens so much. Benjamin Ginsberg: At one time, states needed citizens to fight their wars, and voluntarily provide revenues by buying bonds -- the Civil War was financed by the equivalent of savings bonds in small denominations. And loyal citizens were needed as administrators. We disparage them today as patronage workers, but these were citizen-administrators who carried on the boring work of governing. In more modern states, the citizen-administrators have been replaced by bureaucrats. We don't rely on voluntary revenue contributions because we have payroll taxes collected at the source. And the citizen-soldier has been replaced by the professional and the smart bomb. This diminished citizen participation coincides with 20 to 30 years of real rancor between the major political parties. MC: Yes, and that goes against one of the hallowed principles of political science, which says that the more party competition there is, the more citizen mobilization you get, because the parties will mobilize their support. BG: Elites who at one time might have been forced to mobilize support to get what they want now can get what they want through the back door, through the bureaucracy and the courts. Most regulatory statutes enacted during the past 25 years have contained what are called citizen-suit provisions, which provide for enforcement of the act by litigation. So interest groups have become the self-appointed enforcers of these statutes. For the Endangered Species Act, there's the Defenders of Wildlife, for example, a Washington advocacy group. They have virtually no members. They seldom attempt to mobilize support for anything. They simply litigate. And political bosses don't want additional voters. BG: When it comes to voting, even though there's a lot of hand-wringing about the decline of participation, no one really does much to bolster participation. It would be easy to increase it: conduct elections on weekends, for example. But in California there was a proposition in this past election that would have instituted same-day voter registration, which increases turnout quite sharply. Of all the propositions on the California ballot, this was the only one that every politician -- Democrat, Republican, and Green -- opposed. MC: Republicans have more to fear from voter mobilization than Democrats, because the people who don't vote now, the lower-income and lower-education segment of the population, are more likely to be Democrats. But even if these new people vote Democrat, there's no guarantee that they would vote for the Democrats now in office. They might want other Democrats, and the interests of incumbents carry greater importance than the success of the party. Democrats could mobilize voters and probably put more Democrats in Congress. But incumbents would rather get re-elected than create a majority in Congress. Wesley Bedrosian How did this play out in 2002? BG: Well, there were the low rates of voter turnout. And the campaign itself -- President Bush was given a great deal of credit for flying around the country to mobilize support. But if you plotted his flights, in every instance the audiences he addressed were the most loyal, dedicated voters. His job was to rally the faithful, not to mobilize the electorate. Democrats pretty much did the same. MC: In 1896 we had the presidential election with the highest voter turnout in history. Eighty percent nationally, 90 percent in the North. BG: But after Progressive reform around 1900 -- personal voter registration, the direct primary, the elimination of patronage -- the size of the electorate fell to half. Progressives were upper-middle-class reformers who wanted to get working-class and immigrant voters out of the electorate to break the power of political machines. When you shrink the size of the electorate, it's very difficult to bring it back. In polls, the public expresses dissatisfaction, yet the public is passive. MC: The public isn't passive. Think about 9/11, a national crisis. Millions of people donating blood and money. Thousands of people driving to New York to see what they could do to help. Essentially, people begging to be citizens. What happens? They're told, "Hug your children, and go about your business." Nobody asks citizens to do extraordinary things anymore, because politicians know that when you do, you have to surrender a degree of control. How do we get politicians to take us seriously as citizens? BG: We may be seeing the slow-motion collapse of citizenship in America. Governments have discovered that they can do very well without loyal, engaged, energetic citizens. Alternatively, some great crisis may occur that will cause the president to say, "Wait a minute, don't go shopping yet. We need you." MC: Marx recognized that the proletariat, by themselves, could not launch a revolution. They needed bourgeois intellectuals like himself. Maybe college-educated people who are dedicated to the ideals of popular democracy can be induced to take responsibility for mobilizing citizens. It's 7 o'clock on a Saturday night and your cultural calendar is pleasantly packed. The evening includes some hip-swiveling belly dancers, a Neil Simon play, and a performance by some young singing sensations. So where are you? Broadway-bound on a curb in Manhattan, hailing a cab? Nope. You're navigating the Homewood campus, where the brick paths lead to the hottest shows in town: the CultureFest Culture Show, the Barnstormers' production of Rumors, and the Vocal Chords' fall concert. Hundreds of Hopkins students spent the evening of Saturday, November 9, 2002, either performing on the stages of or filling the seats in Shriver Hall Auditorium, the Mattin Center Swirnow Theater, and the Norman I. Schafler Auditorium in the Bloomberg Center for Physics and Astronomy. And it wasn't just a one-night stand for Hopkins undergraduates in the arts. 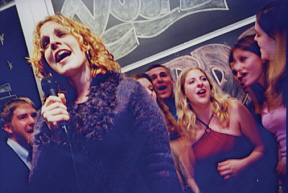 The Amalgamates of Tufts University, guests of the Hopkins a cappella group the Vocal Chords, perform in Bloomberg Hall. Photos by Jefferson Jackson Steele "Although all of those activities just happened to fall together, student events and participation at events seem to be on the rise," says Dean of Student Life Susan Boswell. "Students seem to be attending more activities, and we are hearing less that there is nothing to do." As of the end of the fall semester, there were 22 student performing arts groups on campus, nine of them devoted to a cappella singing. Besides the a cappella craze perpetuated by groups like the Mental Notes, the Octopodes, and Ketzev, the tally includes the sketch comedy group Buttered Niblets, Witness Theater, the Indian Cultural Dance Club, the Modern Dance Company, Pep Band, Flute Choir, and Brass Choir. Between the performing arts groups and Homewood's 30 cultural groups, that jam-packed performance calendar in early November wasn't an oddity. The previous weekend's fare included Gospel Choir rehearsal, the Dunbar Baldwin Hughes Theatre Company's performance of the dramatic musical The Choir, and screenings of several Japanese cartoons presented by the Johns Hopkins Animation Club. And the following weekend's lineup included the fall concert by Homewood's a cappella girl group the Sirens, a performance by the Jazz Ensemble, and sketch comedy from the humor troupe Throat Culture. 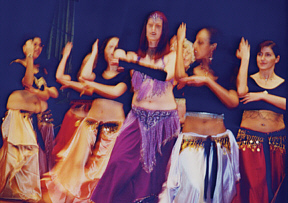 Belly dancers wow the crowd at the CultureFest talent show in Shriver Hall. Keeping an eye on the trend is Jeffrey Groden-Thomas, Homewood's new director of student involvement in the Department of Student Development and Programming. In addition to weeklong cultural events such as CultureFest and monthlong observations like Black History Month and Latino Heritage Month, concerts, lectures, and dinners are popping up with greater frequency throughout the year, with no particular reason other than the students want them and therefore organize them, he notes. To help undergraduates keep track of the offerings, Groden-Thomas and his colleagues have created a new automated student events calendar at jhu.stuco.org. The online events calendar, coupled with casual conversation in the dining halls and the ever-jangling network of students' cell phones, no doubt contributed to the full houses at each event November 9, when students showed up in force to support each other. A bumper crop of a cappella afficionados clapped along with the up-tempo doo-wop love songs performed by the Vocal Chords and their guests, The Amalgamates of Tufts University, in Bloomberg Hall. "Our best estimate is that about 350 people attended the event, and the auditorium holds 340," notes Brendan Houle of the Vocal Chords. At the CultureFest talent show, featuring cultural dances and musical performances by various ethnic student groups on campus, the crowd cheered rowdily for on-stage friends. "The show attracted over 600 people," says sophomore Jennifer Saito, entertainment chair for CultureFest. At the Mattin Center, theater buffs eagerly parted with $3 to watch Homewood's student acting troupe the Barnstormers break a leg in Rumors, a "farce full of affairs, alcohol, mystery, and confusion." "The seating capacity for Rumors was around 250, and we nearly sold out both Saturdays," says junior Kim Andrews, who played the role of Cassie Cooper and designed posters promoting the show. In addition to the accolades of their peers, starting with the class of 2004, students in the arts will be rewarded with official recognition from the university as well. Those who participate in six or more semesters of extracurricular arts programs on the Homewood campus can apply for the Homewood Arts Programs Certificate, says Eric Beatty, director of the Homewood Arts Programs. "[Singer/songwriter/pianist Tori Amos] claims she was kicked out of Peabody for trying to convince them that John Lennon and Jimi Hendrix were the Mozarts of their day. But Amos says whenever she's about to go out on tour, she goes back to all the things she learned at the conservatory: 'The way to practice, the way to prepare, it was very disciplined. You can't do six shows a week, two-hour shows, without a discipline.'"